"We all get lost once in a while, sometimes by choice, sometimes due to forces beyond our control. When we learn what it is our soul needs to learn, the path presents itself. Sometimes we see the way out but wander farther and deeper despite ourselves; the fear, the anger, or the sadness preventing us from returning. Sometimes we prefer to be lost and wandering; sometimes it's easier. Sometimes we find our own way out. But regardless, always, we are found." BUT REGARDLESS, ALWAYS, WE ARE FOUND. After I saw this, I felt a huge sense of relief and even more hope than I've had before. "Apathy is essentially the absence or suppression of enthusiasn, excitement, passion and inspiration". "The person who struggles with apathy has learned that it is not safe to want. Pretty soon, we have no motivation to speak of. We don't know what we want. We are lost." Then Teal provided a link to the following video on YouTube. I enlarged it to full screen. There in front of me was a vision of a beautiful celestial angel explaining my life in a mere 22 minutes. After she says that if our mission in life is to find ourselves, the only way this can happen is to be LOST, I burst into tears. In my wildest dreams and in all my searching finally something makes sense! This is the word that describes the deepest despair that I've felt in my core -- the sensation of feeling LOST and the intense yearning to be FOUND ... trying to figure out where I BELONG and who I AM ... trying to figure out which words to add after I AM ... trying to figure out what I was missing that other people seemed to have. I know I am not the only one who feels this way, because many of us are spiritually connected. When the student is ready the teacher will appear... at least now I feel a sense of confidence that there is nothing wrong with the way I am... that my BEING is all about discovering and I can't discover unless there is SOMETHING to discover. Now that I am much clearer on my life purpose, and now that I believe that I WILL BE FOUND, I feel incredibly HOPEFUL. Gosh! I wonder what it will FEEL like when I am finally FOUND! I also just realized that my subconscious had been giving me clues over the last few years ... when I decided to title one of my albums (songs) "FINDING MYSELF." Also, I absolutely love when a bunch of dots in the form of articles and books I read, conversations I have with people, videos I watch and listen to, etc. all come together with glorious synchronicity to birth an epiphany (one of Oprah's favorite words)! Watch the following 22 minute video on YouTube by Teal Scott: "Feeling Lost and Ten Steps to Becoming Found". Then tell me in the comments below, if you are one of the lost ones seeking to be found. I like how when I talk to people, I am often surprised by some of the things I end up saying -- in a good way. Wisdom I didn't know I had will come through in the words that I speak. Today I told someone that I had been asleep for 14 years. Yes, I was dormant for about 14 years while I was on disability, unemployed, and lacked any kind of direction or goals for my life. As I was thinking about this, the Snow White tale came to my mind, and I began to wonder if this experience that I had was what the fairy tale was actually about. Maybe the tale didn't have anything to do with a human Princess and a Prince. Maybe it was metaphorical. While I was dormant, I was apparently also 'asleep', just as Snow White was asleep. Perhaps there had been a divine plan for me all along... that I was supposed to sleep for 14 years. But there was also a Fairy God Mother -- a woman I met in a Laundromat one day -- a psychic who told me that I was asleep and that it was time to wake up. The 'Prince' that came along was the angelic, divine vision I received that sparked the explosion of mental, emotional, and spiritual growth that followed. And the seven dwarfs are the people who have been showing up in my life to take me to the next step of my journey. I have lost track of how many there have been… and if you are one of them, I am forever grateful. I wonder how many other people are asleep… encased in a glass coffin… and I wonder how many others will receive the gift of awakening. Do you relate to what I wrote here? What are your thoughts? Please share in the comments below. Throughout the years of dealing with chronic pain in my muscles and joints, I read in numerous medical journals, the Arthritis Magazine, and books about chronic pain, that CBT (Cognitive Behavioral Therapy) was the key to improving your life and your ability to cope with pain. Not so oddly (after all, our government hasn't figured out what is best for us), I didn't have access to Psychological care. You see, if you have Medicare, free clinics won't help you. Between the steep co-pays and gas money I didn't have, I was left on my own. About the time I began this blog, I also began to research CBT. Life Coaching had become the new Psychologists, promoting positive psychology. One day, someone in my apartment complex scheduled a vacation and asked me to take care of their cat. It turned out that both Mr. & Mrs. had majored in Psychology and still had all their school books. 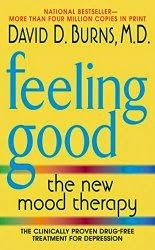 One of them was Dr. David Burns' "Feeling Good: The New Mood Therapy". In this book, I found the thinking errors I had acquired over the years ... and the way to transform them. Ones like "all or nothing thinking", "Overgeneralization", "Magnification", and "Jumping to Conclusions", were often the ways I dealt with daily life. This is a big fat book loaded with lots of exercises to do to work on transforming the cognitive distortions ingrained in your mind. If I had woken up in the morning with pain all over my body, I used to tell myself I'll never be able to do anything with my life or go to any of the places I wanted to go. In the book, an exercise would include "Negative Thoughts" and the Distortions". Further on, is "Automatic Thoughts", "Distortions", and "Rational Responses". It wasn't long before I began catching myself when negative thoughts rushed through my mind and began to rephrase them. And as you can see by this blog, I am now a much happier person, living a much more meaningful life. PLEASE LEAVE A COMMENT BELOW BY CLICKING ON THE WORD 'COMMENTS'. How I (accidentally) created a meaningful life after years of being bed bound, wheelchair bound, alone, isolated, bored, and stagnant. FACEBOOK: My introduction to the outside world was Facebook. About a year after my son signed me up, cousins I had never met or knew existed began to send me friend requests. When I saw their friends commenting things that interested me, I sent THEM friend requests. Like the web of a spider, my friendships grew to people who lived in other countries. My ‘friends’ were always ‘sharing’ interesting ‘pages’, which I then ‘liked’ so their posts would show up on my page. My favorites were art, music, and positive psychology. This process, of course, would take up to several hours every day. Then my organizing bug hit me, and I decided to organize all these pages into specific ‘interest’ groups. Meanwhile, there were lots of beautiful photos I wanted to save in the albums I had created on my computer hard drive. Note I said ALBUMS. I organized hundreds of photos into separate folders. Each time I saw one on facebook I wanted, I right clicked on it to ‘save image as’ (a jpg). Sometimes this would work from the main feed, but many times I had to click on the photo first before it showed as a jpg. I figured that if I ever got bored (haha), I could go back through all the photo albums. Many of the photos included inspirational words on them. As I wrote in a previous post about the Book Marketing Challenge, I learned about Friday Facebook Fan Parties hosted by other (authors). After you are notified (by another author) that they are hosting one (you had subscribed to their email list), you visit their Facebook page on the specified day and post a comment with a link to your page (or website). Everyone participating in this ‘party’ visits everyone else. I did it once and it was a lot of fun! Maybe someday I will have time to do this, too. BLOGGING: Next came the introduction of other people’s blogs. I had started my own back in 2011 after googling a few phrases looking for information on specific topics. I found out that most of the articles were written in BLOGS. Then you could subscribe to new posts. After I subscribed to quite a few, my Gmail inbox got flooded with notifications of these new posts. I began to ORGANIZE them all into individual ‘folders’ in my Gmail, intending to go back through them (someday) to read. You guessed it. I subscribed to way too many! But this post is all about finding interesting things to do to stay busy. Someday, I may also browse through all these folders and start deleting things, too. As I wrote in a previous post about the Book Marketing Challenge, I learned that you can network by writing comments on other people’s blogs and/or facebook pages and then leaving a signature so people who want to visit your blog or page have a link to click on. Meanwhile, you can start a Facebook Fan Page or blog on just about any subject. I also learned how to MONETIZE your blog … by finding ‘affiliate’ links of subjects that relate to your topic and inserting them onto your blog. I have a few. Then comes the challenge of learning about ‘key word searches’ and adding them to the end of your blogposts so hopefully people will find you. It has only been this last year that you could create Fan Pages and Blogs for free. A Fan Page isn’t just for musicians/bands or authors. You can be a public figure or an artist or … check out the list. WordPress and Blogger are both free now to set up. What are you good at doing? Blog about it!!!! At the time I started my blog, there was a monthly charge for WordPress so I used Blogger. I am hoping it has most of the advantages WordPress has but I have to investigate. I also learned that you can have multiple blogs, each on a different topic. RECORD YOUR OWN SONGS (and do it for your friends). The Zoom R8 Recorder I got three years ago came with CuBase, a music software program. I never did have time to figure out how to use the software even though I ordered the ‘Idiot’s Guide for Recording with CuBase’. The Zoom R8 has a lot of features, but so far I’ve only learned a few basics. A little at a time, I recorded all the songs I’ve written so far with it. I would really like to learn more about it all so I will be able to record for other musicians as well. I am waiting for the miracle of other musicians showing up to develop the potential of my own songs. Meanwhile, I found a blog called “The Recording Revolution” by a man who writes about recording in simple ways so an amateur like me can understand. I have to file most of these posts away for future reading. TIME OUT FOR SOME LISTS: I had pieces of paper everywhere with notes on them. I also had my address book, calendars, a book with birthdays and anniversaries, and a notebook with all the web pages and blogs I had signed up for and subscribed to … along with all the user names and passwords. But as these lists got longer and longer, I felt the need to ALPHABETIZE and SORT. Have you seen the children’s book “If You Give a Mouse a Cookie”? (he’ll want a glass of milk, etc.) I discovered Gmail’s calendar. I decided to type my lists up in separate emails but rather than send them (to myself), I kept them as ‘drafts’ so I could continue to add more information to them. I was then obsessed with finding all my lists and doing the same for them. After I began entering important dates on the Google calendar, I discovered that birthdays I had entered into the email ‘contacts’ were interlinked with it and the dates were showing up on the calendar. Yay!!! Then I got out my book with birthdays and anniversaries and entered the rest of them into the Gmail contacts which meant if I didn’t already have one for people, I added them (even though I did not have email addresses for them. Then I decided I might as well transfer the rest of my address book into Gmail. And while I was at it, I created ‘groups’ for people. And got out all my event lists and added them into the google calendar, too. I think it took me about two weeks to do all of this. WRITE A BOOK: about anything! Poems, recipes, funny things your cats and/or dogs did, gardening, how-to (anything). You can either create an ebook and upload it to KDP.com or create a paper book and upload it to CreateSpace.com. Both of these companies partner with Amazon, so your books will be on Amazon. Be sure to create an Author page on Amazon Author Central. You will still need to figure out who your target audience is and reach out to them via other people’s blogs and Facebook. 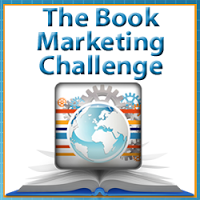 In the Book Marketing Challenge, they said very few people make very much money selling books. You have to figure out how to re-purpose them into some time of course or coaching program that people WILL buy … on the Internet, of course. Many authors become public speakers and earn income for their presentations. They even start traveling all over the world doing this. I've added this goal to my ‘to-do’ list. Don’t let a handicap stop you from writing a book … you can use a recorder to tell your stories in and also to record conversations and interviews. Then you can have them transcribed by someone else if you are unable to do this. There is also a software called “Dragon Naturally Speaking” that you can use. If you have webcam on your computer, you can use the video camera on it to record anything you want and then upload the video(s) into YouTube. You can upload these into your blog if you are limited in your site or with one or both arms. HOBBY GROUPS: At one of the first events I went to called “The Texas Country Showdown” during Spring Ho, I met the mother of one of the participants. Her son played guitar and she told me that her son had found a group at the Driftwood Cafe about 20 minutes from my apartment to jam with on Tuesday nights (all acoustic guitarists). I've been going most Tuesday nights for the last two years. Because I had this ‘date’ to play, I played consistently, got better at it, and wrote new songs using all the new techniques I was learning from the others. And because they all played ‘cover’ songs (songs by other artists), I had to learn to play them, too (I previously had only played the songs I personally wrote) … which meant finding them on the Internet … and printing them … and punching holes in the paper … and putting them in a binder … and alphabetizing them … and as the collection grew, deciding which ones to carry with me to jam sessions and which ones to leave at home … which meant a 2nd binder to keep them in. Then about six months ago, I decided to start knitting again … grandmothers knit things for their grandchildren. This thought was followed by a thought to turn on my TV (I love it when this kind of thing happens.) TV just happened to be set on Public Television and the show that was on was Knitting Daily! Shortly after I watched a couple of these shows, a new knitting group was started at the Senior Center, facilitated by a very talented woman who is confined to a wheelchair. She rarely mentions any of her medical issues (and I know she has many) so I feel inspired by her ability to put them aside and focus on teaching us new skills. Our knitting group includes lovely ladies in their 70’s and 80’s who live as though they will live forever. There is no evidence that they won’t, so again, I am truly inspired! Our teacher suggested we buy circular needles from KnitPicks vs. Walmart so I ordered some … and I got on their mailing list … along with Knitting Daily’s list … which meant getting emails from them … which meant getting free patterns … which meant downloading them … which meant printing out some of them. I also found a Facebook page for Knitting where everyone posts photos of their projects. TIME OUT FOR MORE ORGANIZING!!! (I did mention I do this a lot). I had all the paperwork for my projects in separate piles on my kitchen table and on book shelves. I wanted to keep them all separate. Using filing folders wasn’t really working for me as they’d all be in one container even if they were in groups. Then I felt the stress of information overload. I had all these projects, but I began to lose track of what I wanted to do next on each one. And that really long to-do list I made as a Gmail draft (which I had even categorized by project type) was … well … a really long list. So one day, I decided to transfer it all into loose leaf binders with tabs … which meant a lot more organizing … and a lot of hole punching. For another two weeks, I made frequent trips to Walmart for one more binder and one more set of tabs. There were lots of different colors so I made some decisions on which color would be for which type of project. Now I have ones for: a binder for each of the political organizations I am secretary for, Knitting, Reiki/EFT, Music Production & Marketing (in addition to the ones with actual songs which I mentioned in Hobby Groups), Book Marketing Challenge/ Transformational Author Experience, Relationships (not all relationships are between a man and a woman), Workshops/ Presentations, Writing/ Promo/ Blogging, Life Purpose & Planning, Articles (that I’ve printed or torn from Magazines), Food, and one with all the miscellaneous pieces of paper I wrote something on that I will go through some day to figure out which book or blog or something else I intended to use them for. Big sigh. I feel better now. BTW, I also have my closets and drawers organized. Some people might think I have OCD. (Obsessive Compulsive Disorder). Maybe I do. I lose focus. When projects or tasks are out of site, I forget about them. Senility? I will be 59 in three months. READ: Did I mention this yet? I have a couple of stacks of books I intend to read someday. I have a nice stack of magazines I intend to read someday. I have that wonderful new Kindle I got last year on my birthday which is now loaded up with lots of Kindle books I got for free or for 99 cents during promotional periods. I discovered I could email it pdf files and MS Word documents. (Most of the websites and blogs offered a free pdf of some sort which I had downloaded into separate file folders on my laptop.) Thank goodness my Kindle has an option for organizing content alphabetically by title or author! But I don’t have time to read any of this because I am too busy reading the steady stream of emails I get in my inbox with links that go to websites and blogposts. Phew! BTW, I don’t have a smart phone yet so all the Internet activity is done from my laptop at home. If you don’t have any books, magazines, or a Kindle, I collected books from the Apartment Complex community room, bought them for 25-50 cents at the library sales, and because I was a good Amazon customer, they sent me a $69 coupon one day toward a Kindle, and the least expensive one was $70. Meanwhile, I met new authors via the Book Marketing Challenge and agreed to exchange services such as reading and reviewing. So now, I will HAVE to find time to read!!! NETFLIX: Time to watch movies? I do occasionally! I have a LIST of 180 movies I plan to watch someday. Each time I watch a movie, I write down the names of other movies that looked interesting to me while viewing the previews. I like Netflix because I can create a list of movies I want to see and it holds onto it for me. I suppose you could also get movies from a Redbox. EPILOGUE: Hopefully you now have lots of ideas for things to do to stay busy! While most of the blogposts are included in “Love, Life, & God: Getting Past the Pain”, you may still like to read the book as I included a lot more detail in the process I experienced to get from where I was to where I am now, along with lots of great stories about people I've met and animals I've known. Now that I've completed the Book Marketing Challenge, I am equipped with a life-time’s worth of projects to do based on what I learned in this course and the new connections I've made. I’ll be able to use the information for the music side, too. And one think that I've learned about song-writing and music production so far, is that projects are never finished. There will always be something more that can be added for the sake of creativity. Also, our memories will randomly recall past situations/events that we may want to include in projects we thought were already finished. I am not at all worried about the time I have left on earth to accomplish it all. My greatest role model is Louise Hay who is now in her 80’s. She created “Hay House Publishing” where only the best of the best and the most affluent publish their books via her partner company Balboa Books. My 2nd greatest role model is Laverne ... the lady who lives across from me who just celebrated her 90th birthday. I look forward to meeting her and a few others for coffee every Tuesday and Thursday morning in our community room. Reading from "LOVE, LIFE, & GOD: GETTING PAST THE PAIN"
My self-publishing journey began back in 2011. After I tediously learned each step in formatting the stories I wanted to tell (real life ones) and self-publishing the completed projects, I thought I might put together a program that would teach others how to do what I had learned how to do. I believe it was in 2012 that I googled “self-publishing for practically nothing” to see what else was available on the subject and found Shelley Hicks’ website http://www.self-publishing-coach.com. She had already done everything I was thinking of doing and then some. I subscribed to her newsletter and downloaded the free reports she offered. On April 25 (2 months ago), I received one of those newsletters announcing that Shelley was going to be one of the 40 contributing experts in the upcoming Book Marketing Challenge. If you’ve known me for a long time, you know that I have been living on a fixed disability income since 1998. I would not have been able to take this course had there been a charge for it or if I had to drive any kind of distance to take it. While there were Gold and Diamond upgrade levels for a fee, I was able to enroll in the Silver level for FREE. The course was broken up into 30 individual well-organized daily segments which included articles, interviews, and exciting assignments (including the steps on how to complete them). My most recent memoir is “Love, Life, & God: Getting Past the Pain”, a journey that began when I could no longer work back in 1998 and ended about 15 years ago when I discovered ways to shift my thinking and managed to create a meaningful life (after moving 43 times). I included stories about people, places, pets, and experiences (some of which were super-natural). My ideal readers, which I realized by taking this course, are people who have endured multiple life challenges and are looking for someone to relate to as well as be inspired by. My books can be viewed at www.amazon.com/author/reneealter or by clicking on any one of the book cover photos that are on this blog. I am really excited about tomorrow’s Blog Hop! P.S. To leave a comment, click on the (number) comments button below. And THANK YOU for visiting my blog! You Don't Know What You've Got Til It's Gone! You may be familiar with this line of Joni Mitchell's song "Big Yellow Taxi". For me, first, I thought the baby boy I gave birth to would be close to me forever ... like I was with my mother. But, alas, he was a boy and a very independent one! And he was my only child. I missed him terribly after he was up and gone. I just had to wait and see if this would change after he had his first child... which it has... a little bit... thanks to the message feature of facebook and phones that can text. On the opposite note, I didn't really know how depressed I was or how much my body hurt every day or how much it affected my life until it was GONE. I realized yesterday that the 'high' I experienced back in July 2010 has been continuous for the last three months or so (with the exception of the insomnia I no longer have). Rather than writing six books simultaneously like I was doing that July, I keep 3-6 windows open on my laptop computer while I jump back and forth between multiple tasks. 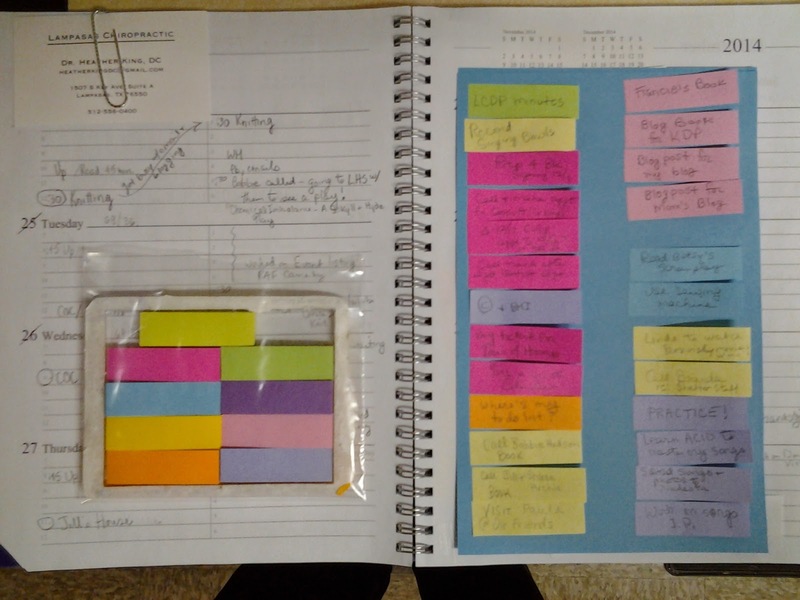 I have an upright file with folders for tasks in progress such as adding affiliate links to my blog, as well as additional writing & music information. (I like being organized). There are six separate piles on my dining room table of tasks I want or need to complete a.s.a.p. Among them are: a notebook and folder for the 30 Day Book Marketing Challenge I found for free, Hay House World Summit (I paid $7 for the Premium Registration which will include 100 videos instead of 30 (will I actually have time to see them all? ), I had enrolled in Reverbnation's Press Kit package 30 day free trial (I have to remember to cancel after 30 days and see which parts of it I can do in the meantime), a pile with travel info (I need to make reservations to go to Washington-either in July or September), and notes to keep current for the non-profit organizations I volunteer for. Then there are the three piles on the bookshelf next to the table which includes music information, career information, and writing information (along with articles on marketing it all). And there is a pile on my coffee table filled with information on EFT, NLP, Reiki, and Positive Psychology. I rarely turn on my TV. In the back of my mind I have intentions of listening to meditation CD's and MP3's I've been accumulating. I tried to think of other 'symptoms' of my feeling good so I could understand what has transpired and do my best to maintain this state of mind. I 'feel' like I am contributing to meaningful causes. I 'feel' confident in what I am doing. I 'feel' stimulated by learning new things. I 'feel' the happiness of being surrounded by friendly, supportive people (neighbors, friends, and business associates). I 'feel' the bliss of being in the midst of actively creating new things (like meeting someone who has a recording studio and a band who expressed interest in working with me to create awesomeness for my songs). I 'feel' financially stable with the means to travel to see family vs feeling sorry for myself that I cannot go. I 'feel' important as I meet more people, and network to connect people to other people and organizations/businesses. I 'feel' like I have real wisdom to offer other people now that I have overcome all those awful life challenges (although I still deal with a bit of envy that so many others did not have to go through all that). I 'feel' like I am back in college which I had always enjoyed doing. Perhaps I will be able to print my own diploma for Book Marketing, Music Production, and Writing. I 'feel' healthier and stronger. I 'feel' content. I 'feel' supported by GOD and the Universe as I continuously receive the next video, email, or person, that gives me what I need to take the next step of my incredible journey usually with impeccable timing. One of the latest examples is immediately after I experienced a complete let-down by severe critiques of one of my songs (Reverbnation Crowd Review), I saw a new email from Rhys Thomas with a 10-minute video with the results of a free personality profile test I did on his website describing me to a T -- as 'Emotional Intelligence' with an opposite as 'Poor Me'. His presentation put a huge smile on my face. Then I received the long awaited phone call that Paul (and his band) were finally available to work with me in the recording studio!!! With this experience, I noticed once again, that when you are on the right 'feeling' level, you attract incredibly amazing things and situations. Note all the 'feel' words. In 'Feeling Good, The New Mood Therapy', and in 'Law of Attraction' this is the magic word. Please share one of your experiences relating to this topic below. I think the last time I was this happy and busy was in 1991. I had accumulated about six part time jobs ... most of which I picked up to take home (bookkeeping/payroll/taxes). I lived near a community college and took classes whenever I could--one of which was mountain climbing/camping. My son was about seven years old and we lived in a nice upstairs apartment in a nice community. I went to a church now known as "Center for Spiritual Living" which focused on positive affirmations for every situation in life. With the mountain climbing class, we went up the Palm Springs Tram for a weekend hike. Then afterwards, I took my son to Big Bear solo. But the first weekend I went, one of his camp counselors happened to be there. The second weekend, we met another family from the same city we lived in. I think that year was one of the happiest in my life. And so this last year has been filled with awesome things. Physically--Emotionally--Spiritually--Psychologically, I continued to get stronger and have more energy. My chiropractor recommended I exercise on an elliptical machine which doesn't put stress on the joints. At the spur of the moment, I went on craigslist and located one for $50! With the help of the right dose of Remeron, I've been able to sleep every night and I no longer feel the unmotivated gloom of depression, detachment, and isolation which was secondary to Fibromyalgia and Arthritis. · morning coffee socials at my apartment complex (plus once a month potluck and once a month birthday party/bingo). 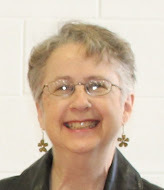 · Plus, many life coaches have been providing free videos/audios which I've been listening to while I knit or play Mahjong. I have met some wonderful women who are now my new friends... and hope to get back into Reiki and create a Reiki Share group. Reiki helped a lot of people I knew while I lived in California and some of the people I've met here are going through serious health challenges. The first step in doing this is having a Reiki Table (aka massage table) which I found on craigslist for $50 (within 24 hours of finding the Elliptical). And as I wrote at the end of my book "Love, Life, and God", all these fulfilling activities enable me to "Get Past the Pain". I feel a sense of self-confidence and satisfaction that was missing for a lot of years. I feel a sense of purpose again. It's been a long journey! Life feels magical again. CLICK ON THE BOOK COVERS TO VIEW BOOK DESCRIPTION &amp; ORDER A COPY!